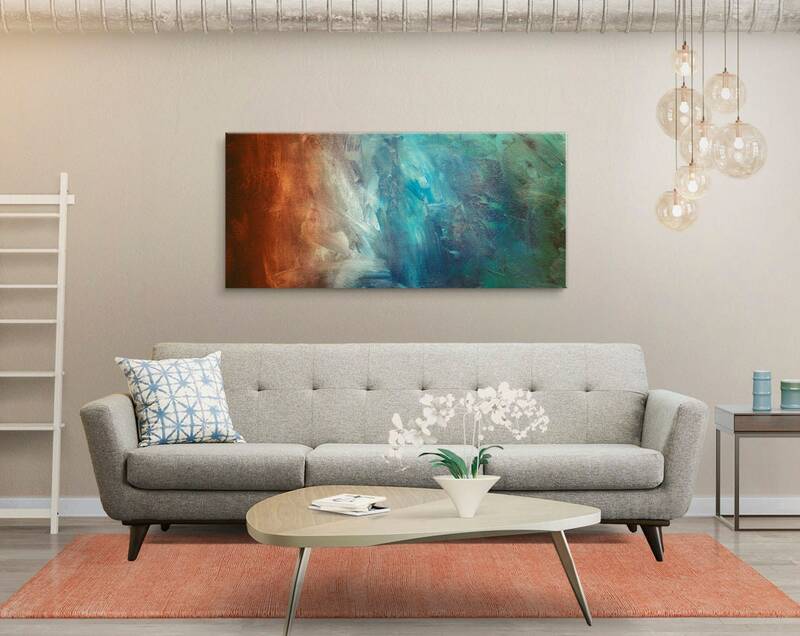 Abstract Painting Large Wall Art Canvas Print Panoramic Home Decor Wall Art Rust Teal Wall Decor by The Modern Art Shop - "Reflection"
This museum quality canvas arrives ready to hang in your home. Available in many sizes or custom! 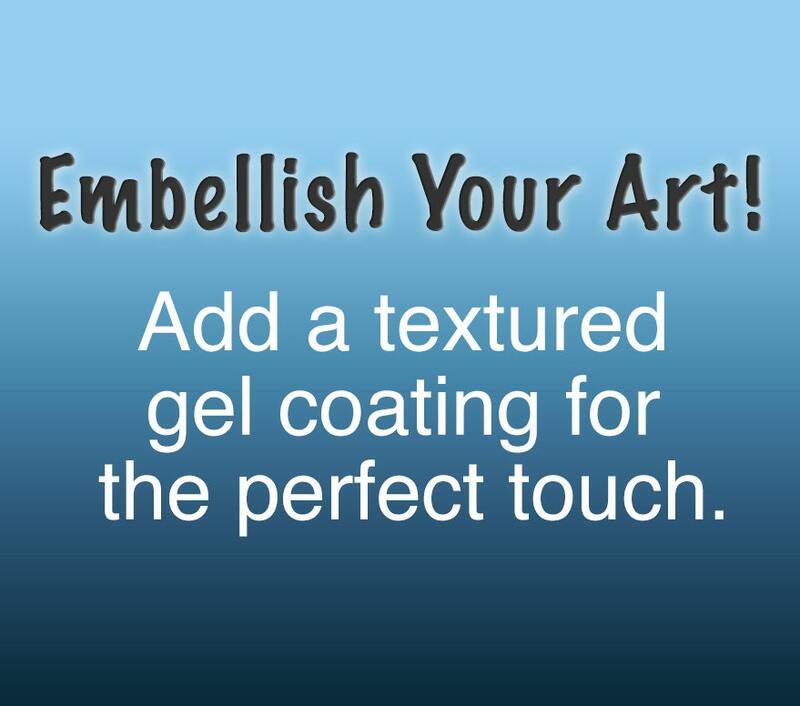 Take your art to the next level with our gel texture embellishment upgrade! The gel is a hand brushed gloss coating that we add in addition to our standard UV satin finish. 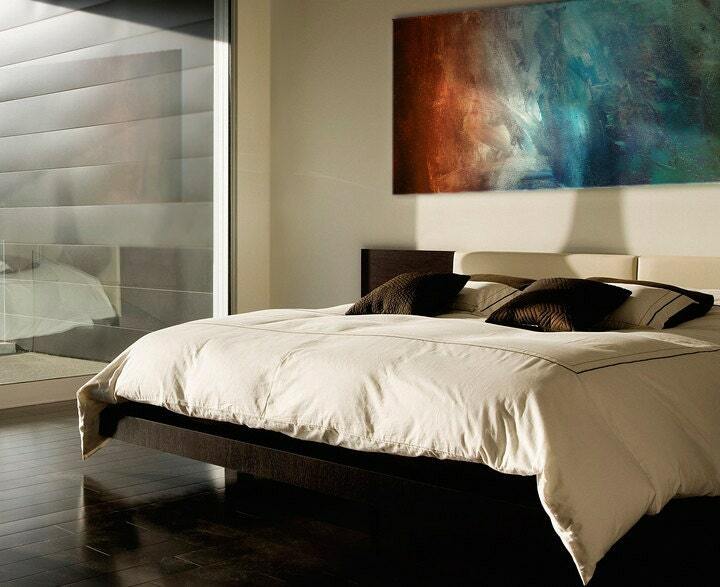 The gel texture adds a lifelike, 3D look and feel to the piece.
" Beautiful!!... 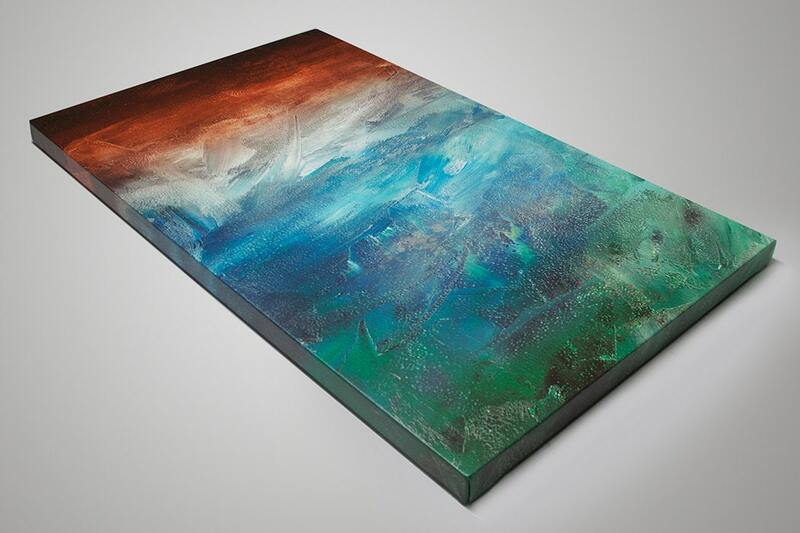 I typically don't buy "abstract" type art. I'm more of a landscape photography type of buyer, for my home. 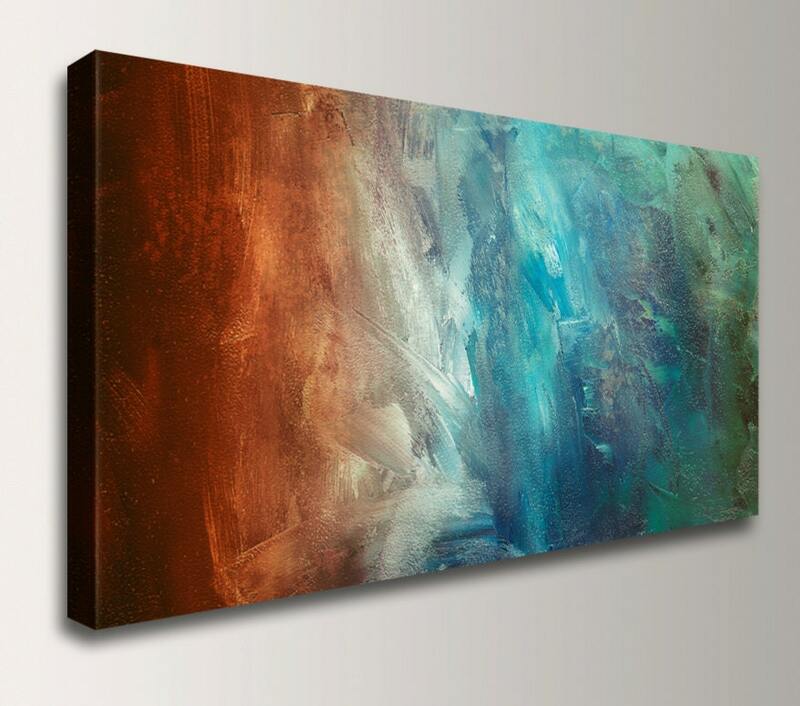 But I bought this moreso as an accent art item to match the color scheme in another larger 'main' canvas art print in my living room. 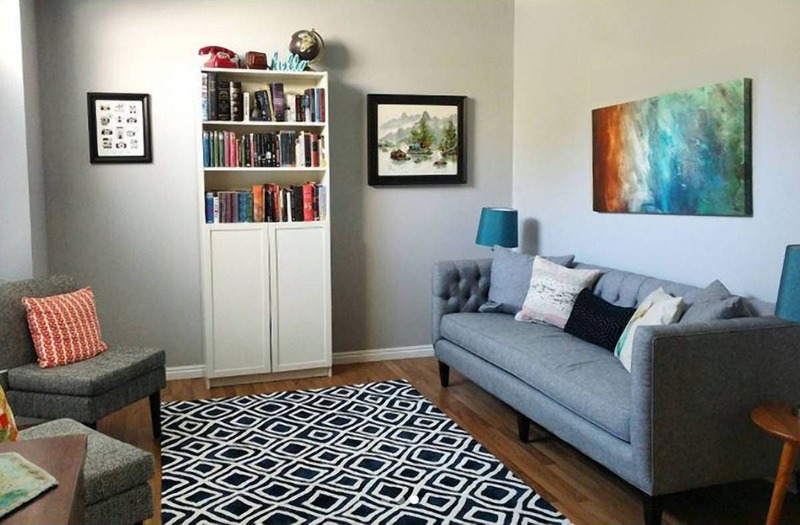 As I knew it would blend well with the rest of the color theme around the room. And it did!.... but not only that, it's striking and vibrant all on it's own.... definitely more powerful and eye-catching than the simple "accent" piece I had intended or envisioned it would be.....I'm very happy with it! " " We love the artwork. 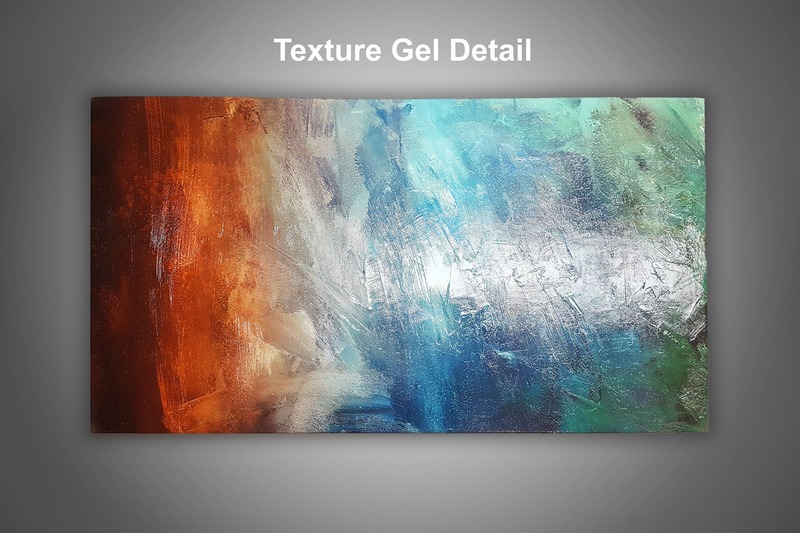 We were looking for a large painting with deep and specific colors, and when we found this print, asked Cody if he could add texture to it with a gel. He used an embellishing gel and applied it in a way that followed the lines, which added to the brushstroke quality and gave it a realistic feel. The colors are beautiful and the extra shine from the gel gives it an added flair. Light on the artwork at different angles changes how you see it (cool effect). The shift from rust to blue/teal is really vibrant. Very happy with the piece." Absolutely one of the most fabulous pieces of art I have ever seen. Reflection is amazing. I had the gel finish applied. I ordered 2 and currently have them leaning against the wall where they will be hung. My husband came home and his jaw dropped. He was so excited. We love it so much that we decided to order another one. When that arrives, I will hang and post pix of the room. Customer service is fantastic. 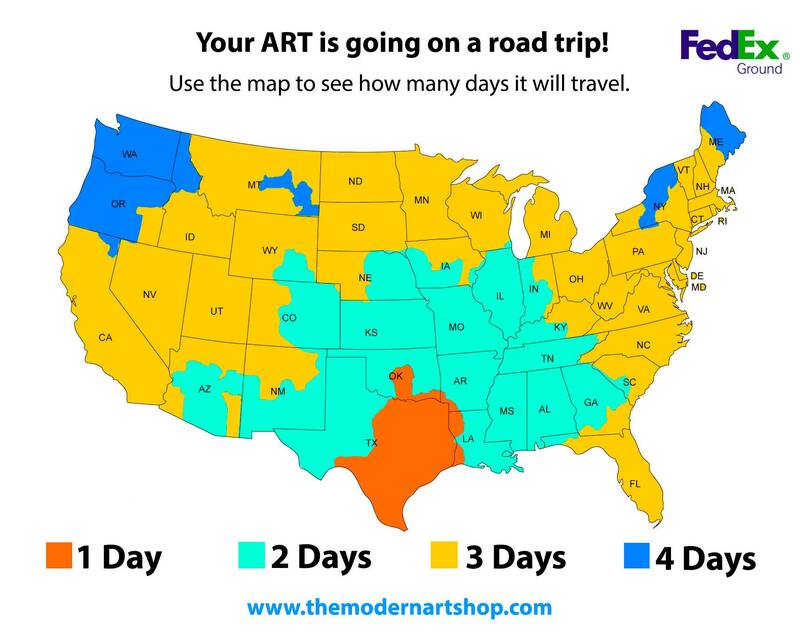 I am so impressed that this will be my go to first stop for all art. If I could rate higher than 5 stars I definitely would. Absolutely love this! It’s perfect and exactly what we were looking for! Excellent quality and super fast shipping! Communication from the seller was great! Thank you again! Highly recommend! It was insane how great the customer service was and how beautiful the product that we received. The gel texture was a fantastic option. Love this. Thanks Cody and team! Gorgeous piece and so well made. Will be ordering from The Modern Art Shop again!